Our go-to spot for casual dining at Kaanapali Beach is Leilani’s. Part of the Whaler’s Village Shopping Center and located right on the beach. 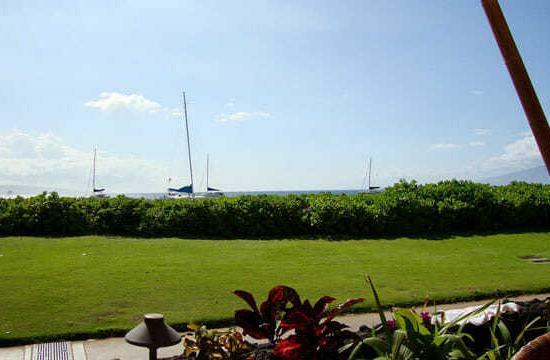 Also, it is right next door to The Westin Kaanapali, one of our favorite places to stay. Leilani’s Kaanapali is divided into 2 restaurants, Leilani’s Beach Side Grill where they mainly serve burgers, tacos and appetizers and Leilani’s on the Beach, which is fancier and has a more formal atmosphere. Leilani’s on the Beach does take reservations and can have long line ups! We highly recommend that you making them, if you are planning on eating there. If you search for them on OpenTable, you should be able to find them to do so. Unfortunately, the more popular Beach Side Grill, does not take reservations. Although we have not actually eaten at Leilani’s on the Beach, we have ordered some items from that menu from the Beach Side Grill. If you sit at the bar, they will give you a menu for both. If you are at the Beach Side Grill you just have to ask your server. Since we’ve been going to Maui, the menu here hasn’t changed much. We have tried most of the permanent menu fixtures. The food is very good and the portions are reasonable. 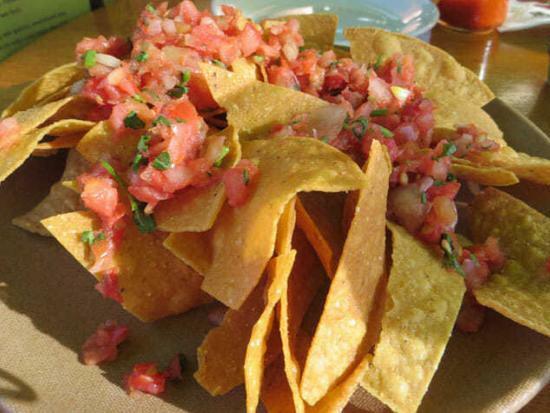 Some of our favorites are the fish tacos, beach side nachos, the Maui onion, walnut and feta salad and of course the Hula pie for dessert. Here’s a tip about the Hula pie. If you are able to come back during your stay, don’t order the Hula Pie on your first visit. The receipt for your meal will include a coupon for a free slice if you come back and order two entrees. Late afternoon, Leilani’s Kaanapali is a good place to just relax and enjoy a few cocktails. 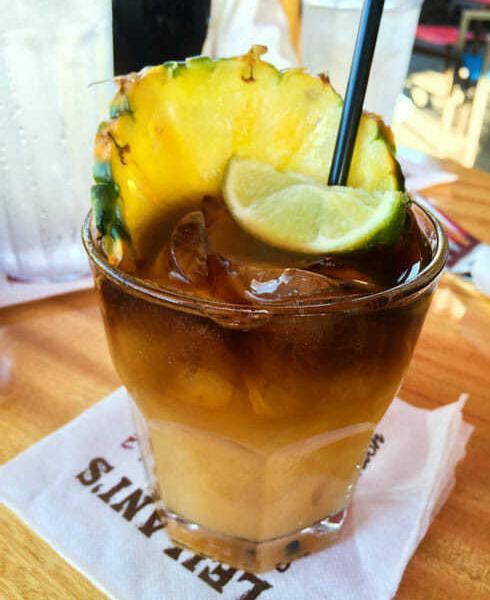 They have a good selection of tropical drinks on their menu, including a good Mai Tai and a good selection of draft beers. They use the 29 degree Blizzard Draft System, which ensures a really cold beer. From Wednesday to Sunday, they have a live band playing between 3 and 5 pm. What better way to cool off than a cold drink while enjoying some good music?! On Maui, this is one of our favorite spot to watch the sunset. We typically head over during Aloha Hour to take advantage of the drink and appetizer specials and stay until after the sun sets. We ask for a table right on the edge, that way we get an unobstructed view when the sun starts setting. What better way to end the day? Dinner time can mean long waits at some of the more popular restaurants, which includes Leilani’s Kaanapali. Unless you have a reservation, we recommend you go before the sunset cruises are back to avoid a long wait for a table. They typically arrive just before sunset.